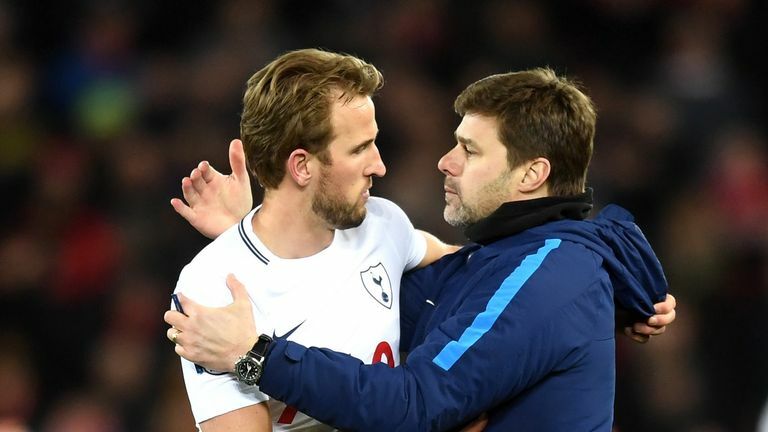 Tottenham's Premier League clash with Liverpool is being billed as Harry Kane versus Mohamed Salah, but Mauricio Pochettino says they are too different in style to allow an accurate comparison. Kane was locked in a battle with Salah for the Premier League Golden Boot last season, with the Egyptian coming out on top after scoring 32 goals to the England striker's 30. "They are two completely different players," Pochettino said. "One is more a player that plays on the side, but now is a little bit playing inside, but he's a winger. "But both are complete players. I don't want to say anything against one or the other or just because Harry is my player, I am going to praise Harry and kill Salah. "The difference is obvious. They are different in the way that they play and how they act on the pitch. But I think both are very good players." But Pochettino's side followed that victory at Old Trafford with a 2-1 defeat to Watford, where the Argentine accused his players of operating as if it was a testimonial match. Pochettino's side ended talk of a Wembley hoodoo when they beat Jurgen Klopp's team 4-1 last October and he is not expecting a repeat of the disappointing performance at Vicarage Road. "If Saturday we play in the same way - I don't say performance, because the performance was not bad against Watford - but if we do it the same way, rather than take off players, I will be on the phone to say, 'Houston, we have a problem!' he added. "Come on. If, against Liverpool at Wembley, you do not have the desire and the focus to play, it is not about playing well, it is about attitude and to say, 'Hey, come on, we are aggressive and we try to win'. "If you watch the Watford game again, you see we played so slow, so sloppy, from the beginning. It was like we thought, 'OK, it is a nice afternoon in Watford, Elton John is in the stands' - it was like going to Hyde Park with my child. "Maybe I repeat again but after Manchester United, all the signals from the team were that we were going to crash. "Of course now to win against Liverpool can change the mood and change the perception and everything but still, if you win, after you win against Brighton. Because you need to be consistent. "Liverpool have a great manager and a great coaching staff, unbelievable players. 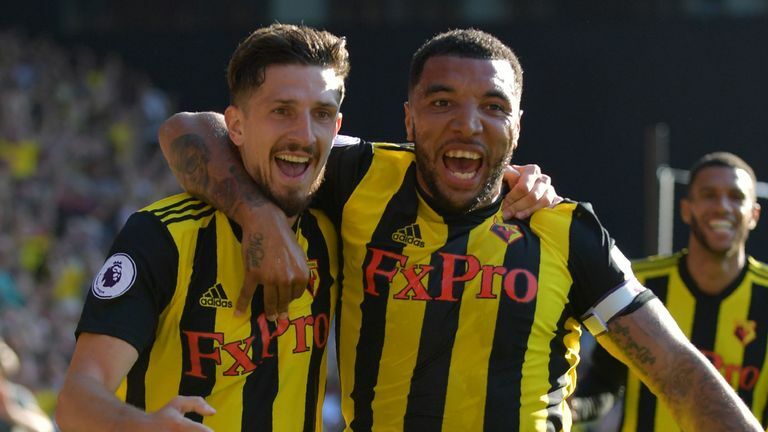 "In the last few years they have shown they are contenders for the Premier League and they played the final of the Champions League and to get there is because you have a great team and of course they improved this summer and they will be tough to beat."